On August 3, 2015, the Obama administration announced the finalized US Environmental Protection Agency’s (EPA) “Clean Power Plan.” The plan has been developed under the Clean Air Act and aims to slash carbon emissions from US power plants, which account for one-third of all carbon emissions in the country, by giving each state an individual goal for cutting these emissions. The EPA estimates that the new national standards will significantly decrease carbon pollution produced by the electric sector by 2030; carbon emissions will be 32% lower than the 2005 levels. For a step-by-step guide on how the Clean Power Plan works, head here. 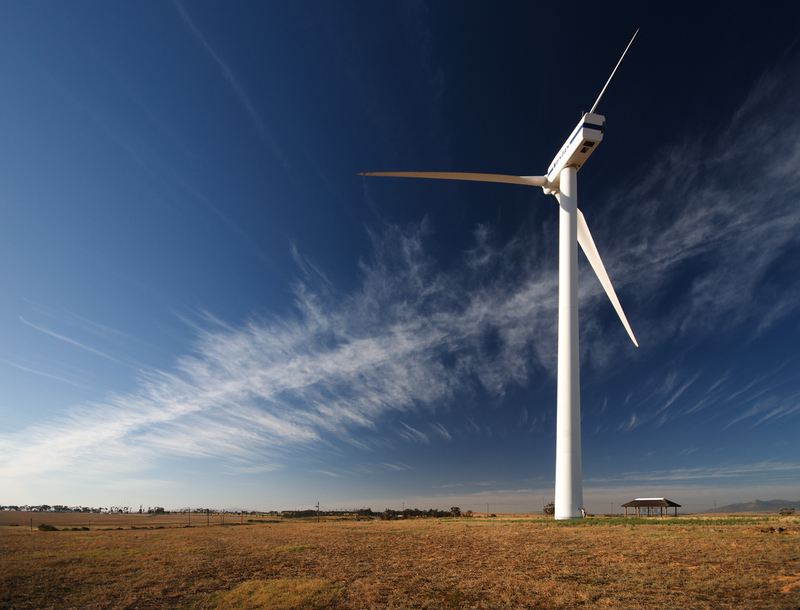 In with the new: Wind turbine, by André van Rooyen, CC BY-NC-ND 2.0. Although just a fraction of what is needed to halt global warming, the standards—which are the first ever on carbon emissions by power plants in the United States—are expected to lead to significant, multiple benefits. The Clean Power Plan has been touted by supporters not only as an historic step in the fight against climate change and as a driver of investment and innovation but also as a major public health initiative. Indeed, while the plan faces strong opposition from the fossil fuel industry, as well as utility companies and individual states, and will surely be challenged in Congress and the courts, few debate the value of its health benefits. 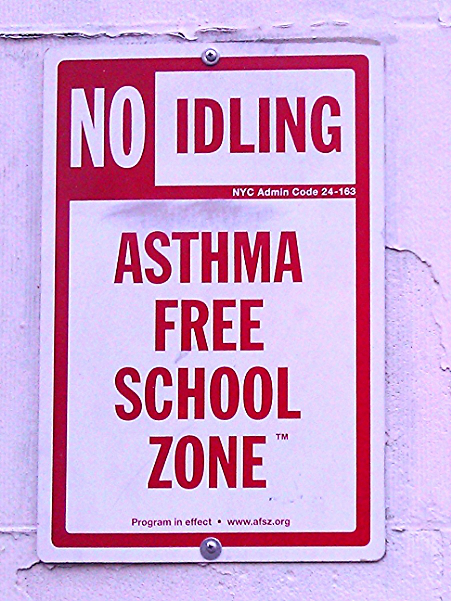 As the worldwide narrative about climate change shifts from a distant polar bear to tangible effects on people’s health, the attention devoted to the need for solutions is steadily increasing in the global “collective imaginary.” It’s not surprising, then, that the Obama administration focuses on easy-to-picture health issues such as asthma, which affects more than 25 million people in the United States. Air pollution, predominantly smog and soot from cars, factories, and power plants is a major cause of asthma attacks and may also contribute to the development of asthma in previously healthy people, with children particularly susceptible to developing the disorder. The Clean Power Plan aims to decrease levels of carbon dioxide—a major contributor to global warming. So how does it improve human health, especially asthma-related issues? In addition to carbon dioxide, power plants release pollutants that are precursors to smog and soot, such as sulfur dioxide, nitrogen oxides, and particulate matter. The EPA predicts that the projected reduction in carbon emissions will prevent up to 90,000 asthma attacks in American children annually. Not surprisingly, the American Lung Association applauds the Clean Power Plan for its health benefits. Air pollution is linked not only to asthma but also to a variety of other health disorders, for example, stroke, heart disease, and lung cancer. According to the World Health Organization, outdoor air pollution in both cities and rural areas caused an estimated 3.7 million premature deaths worldwide in 2012.
Credit: Mike Licht, CC BY 2.0. Cropped from original. In another move to address air quality improvements, the Obama administration last week cut the amount of ozone allowed in the air from the current 75 parts per billion (ppb) down to 70 ppb, the least restrictive level that the EPA had been considering. A major component of smog, ground-level or “bad” ozone, is created by chemical reactions between certain pollutants in presence of sunlight. Such pollutants are emitted by industrial facilities, electric utilities, motor vehicle exhaust, gasoline vapors, and chemical solvents. Breathing bad ozone can trigger a variety of health problems, particularly for children, the elderly, and people of all ages who have lung diseases such as asthma. In 2014, on the basis of scientific evidence, the American Academy of Pediatrics and other health organizations urged to EPA to decrease levels to 60 ppb, which makes the 5 ppb decrease in restriction especially disappointing. On October 1, the American Lung Association issued a statement saying that “Given the health threats from ozone, greater health protections are clearly needed. The level chosen of 70 ppb simply does not reflect what the science shows is necessary to truly protect public health.” The Association also points out that because the health standard forms the basis for daily air pollution alerts nationwide, sensitive populations could be at risk on moderate code yellow days. Indeed, many parents of children with asthma rely on these alerts to help them decide whether or not it’s safe for their child to spend time outside. 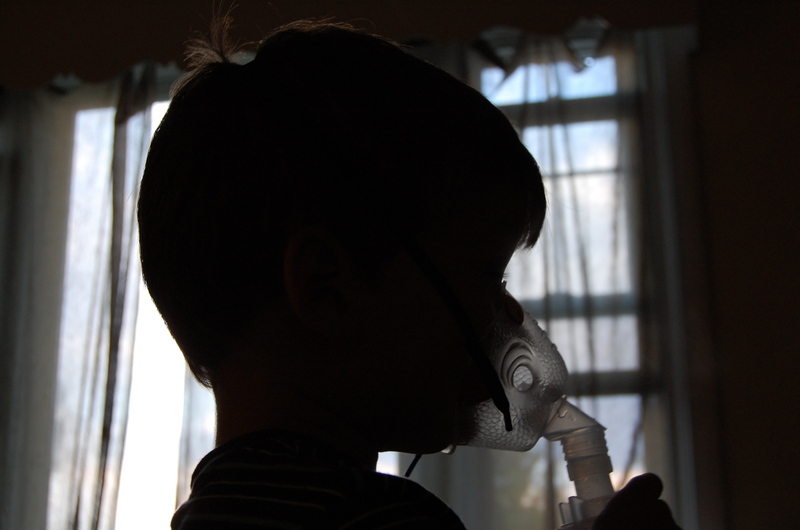 Asthma nebulizer on a child. Credit: Kristy Faith, CC BY-NC-ND 2.0. While the fight goes on, we should not forget the environmental and health-related successes brought about by the Clean Air Act, which has considerably enhanced the quality of the air we breathe, thus improving our health and the length of our lives. In a recent New York Times piece, Michael Greenstone provides new estimates of the gains in life expectancy due to the improvement in air quality since 1970 and, more poignantly, shows us in a series of photographs how far we have come. Take a look at them here. Reading through this article, the first thought that came to mind was the geo-engineering and how the United States has been trying to figure out a way to control the greenhouse gasses as well as global warming. Geo-engineering or climate engineering can be understood as purposely influencing the Earth’s climate to offset the effects from greenhouse gas emissions by focusing on carbon dioxide removal and solar radiation management. The environment can be changed by add or removing of a particular energy supply in a large scale. “The Earth could be a terminally-ill patient for which we would prescribe a high-risk, poorly understood therapy, considering that the fate of the patient appears sealed anyway.” (Lovelock in Goodell 2010:106). The U.S. Global change research program has been studying the short and long-term change in the climate, ozone layer, and land cover. There are many arguments supporting climate engineering and opposing it. These climate changes are happening faster than previously predicted and it is not only affecting the polar bear but the health of all species and the environment. It is better to do something instead of doing nothing. The Clean Air Act would like to shrink the amount of carbon that is released by the power plants by focusing on decreasing each state’s production. The EPA’s estimation is that by 2030 there will be a 32% reduction compared to the level in 2005, which in return will prevent numerous asthma attacks in the American children yearly. Air pollution with chemicals like sulfur dioxides, carbon, and nitrogen dioxides induces symptoms in these asthmatic patients. The younger, older, severally ill and even pregnant women are all at risk for damage from these chemicals. Even though this would be a great decline, it also brings up the question of how much more carbon will we be producing in that time frame and will it average out the levels by 2030, or will the levels increase, or decrease. The chosen standard limit of 70 ppb is very restricted and will not help as much as if 60ppb was selected. If 60bbp is the safest standard then why have we not chosen that as the standard to maximize the amount of lives to save? Is this too big of a goal for the U.S.? Shouldn’t we aim high first? The Clean Air Act has definitely kick started the enhancement of the quality of the air that we breathe to improve lives. What about the other methods out there? There are other carbon removal approaches that should be taken advantage of or attempted to see if they are successful. If there was an alternative to influence natural processes to remove these greenhouse gases, should we take advantage of that? There are techniques such as creating bio char, planting trees, ocean nourishment, and bio-energy with carbon and its storage. Studying these climates tipping point, we can try and use that to our advantage and move from one stable state to a better stable state to maximize the diminishment of these green house gasses. This can allow us to avoid dangerous climate changes without tremendously changing our lifestyles and to gain instant gratification. Mention of biochar as a means to sequestration, while increasing soil fertility and growing capacity, is a very important point worthy of rapid inclusion into agricultural best management practices quickly. 32% lower carbon emission levels in 2030 than 2005 is a great start, but it really doesn’t seem enough. By 2030 our country should be much more advanced and worried about clean energy than a mere 32% change. However, I do understand the difficulty of imposing sanctions and regulations for carbon pollution emitters. By allowing state policymakers to dictate their plans for cleaner power, it seems like there will be a lot of lobbying by utility companies and hiding data from the state. What if states do not cut or meet their goals by 2030? Even if they are fined, it will defeat the purpose of this plan, because they would not of reached the goal. Coal and natural gas plants account for a big chunk (38%) of carbon emissions, so that is really where the policymaking needs to focus on. The other big chunk is transportation, but that is showing improvement with a decline in the number of people driving and the increased production of electric/hybrid cars. The big question is not only how to reduce the CO2 emitted from plants but also how to trap the carbon being emitted from power plants. Pumping it directly down into the earth a half mile deep is a great idea (Sequestration) but we cannot just keep pumping CO2 down into the earth, as there are hazards and risks that need to be addressed/further researched. There also needs to be discussion about the increased population by 2030 and how much more energy we will need by then, and how much more fossil fuels will need to be cut. With the increased population comes increased energy use, so their needs to be a match in clean energy sources. With more people in the United States, and more demand for food, energy, transportation, and water will all lead to an increased energy need so we really need to rely on power plants, electric utilities and industrial plants to turn to clean energy forms. I know this is a bit off topic from the article, but indoor air pollution is a major health problem for many people, and many do not even realize they are being exposed to indoor air pollutants. From allergens and cleaning products, building materials, mold, bacteria, fireplaces, etc. there are many indoor allergens that can cause many health problems as well. An example of the seriousness nature of indoor air pollution is asbestos in building materials causing lung cancer, mesothelioma. It seems like the December 2015 meeting for a global climate agreement is crucial to really curb global warming and helping pubic health problems that come with emissions and the greenhouse gases. It seems like we are only improving from this point, as long as policymakers do the right thing and get serious about this critical issue impacting the world. It’s going to take decades until people suffering from asthma might have substantial improvements. The European union, Australia and Canada all have much lower ozone pollutant standards, mostly in the 60 ppb, while the US is still in 70ppb. Other standards such as sulphur dioxide, nitrogen dioxide, and fine particulate matter are all lower in the European union, Australia and Canada. The EPA really needs to lower the ozone allowance to 60 ppb in order asthma sufferers to have a noticeable improvement in their quality of life. I feel that this article did a great job in addressing the major concerns associated with CO2 emissions in this country and around the world. For far too long, the critical and potentially devastating act of air pollution has been overlooked as merely a controversial political issue that did not really deserve much merit. However, the trend is changing thanks to perspectives described in this article. The focus of significantly reducing emissions is primarily important for the future inhabitants of this country and the world. By making public health the main issue, much more progress is destined to be made in terms of the passing of legislation that supports more regulation of CO2 emissions and creating more awareness of the real problem at hand. There is little to no controversy that unclean or polluted air can cause asthma and other diseases in people, so those who have vehemently opposed making clean air a priority find themselves having no leg to stand on anymore. I believe the Clean Air Act is promising because it the onus of maintaining clean standards on the individual states themselves. Before so, state’s recognized these environmental standards as merely a national goal to reduce the effects of climate change. However, this legislation effectively creates national change by achieving a greater control of what happens at the state level. State’s will be more likely to comply with the set standards in order to not only stick out from other compliant states but also to not suffer the complaints of their residents who value clean air and healthy living. I also believe that the greatly increasing global population will force emission goals to be much higher than even demonstrated in this article. At the current growth rate, reducing pollution by 30 percent will actually be much smaller in another 15 years for example since the amount of pollution will continually and proportionally increase anyway due to more consumption of resources in order to provide for the ever increasing population. Lastly, more awareness needs to be brought to the direct causation of air pollution and respiratory disease because the general assumption is that air really doesn’t affect people’s health as much as substances like tobacco smoke. “It’s important that people keep the risk from air pollution in perspective. Although air pollution increases the risk of developing lung cancer by a small amount, other things have a much bigger effect on our risk, particularly smoking.” However playing down air pollution could gradually have even more severe and intense health effects as more chemicals accumulate, which down the line could be extremely costly. Williams, Sarah. “The Link between Air Pollution and Cancer.” Cancer Research UK -. Scienceblog, 18 Oct. 2013. Web. 15 Oct. 2015. . The government should implement laws that fine power plants and companies releasing pollutants in the environment especially power plants that release high levels of carbon emission by standard of the EPA. In addition, there should be government programs available to help companies gain access to pollution reducing technology. The government can’t simply put companies in financial strain to cut carbon pollution practices as suggested by the Clean Power Plan, because many power plants provide jobs to Americans. Government tax incentive should be put in place for companies to convert to new technologies that reduce pollution. The government should also provide discount vouchers for city residents to purchase electric cars or fuel efficient vehicles to promote clean air. It is possible that many residents living in highly polluted areas do not know they live in poor air quality highly polluted communities. Cities with high levels air pollution for example Los Angeles, Louisville, Kentucky, Birmingham, Alabama and Phoenix, Arizona need to have electric highway signage alerting commuters about pollution levels and air quality. Resident of cities with high levels air pollution and poor air quality need local news stations to broadcast daily updates about air quality levels to alert residents about air pollution before they enter the environment. If residents and companies are educated on ways to reduce air pollution then actions will take and pollution producing behaviors behaviors will be reduced. Cities with the poorest air quality need to promote carpooling to reduce the amount of cars that burn fossil fuels on congested highways. Carpool lanes need to be implemented on highly congested highways and freeways to encourage residents to carpool. Heath impact assessments (HIA’s) need to be conducted based off programs that promote clean quality air. These are all to ways to help reduce air pollution and reduce health disparities associated with air pollution such asthma, which affects more than 25 million Americans as the article stated. Equally important, since areas with high levels of air pollution have higher cases of asthma the government needs to provide cities with allergy and lung healthcare centers so that residents have access to immunologists and specialists on lung disorders related to air pollution. The Clean Power Plan could be a start to several positive things. As I read through the overview of this plan, the importance definitely reveals itself. As a researcher, interested in health and health related issues, I cannot help but to be flabbergasted at the contribution that CO2 has on our health as a human race. We have become to reliant on independence and living everything in the “fast lane” that we have neglected one of the most vital aspects of our lives, health. While I am taking a morning jog downtown in the city, the last thing on my mind is the amount of harm I may be doing to my lungs or other vital organs, because I am thinking in terms of getting fresh air, however, I am getting the complete opposite. It is a great thing that the power plants have been addressed by the EPA and directed to uphold national standards aiming to reduce the amount of carbon emissions. While this will target one third of the contribution, we all have a role in reducing our own carbon footprint. Some of the suggestions that I have to combat carbon emission includes, driving low carbon cars, carpooling more, avoiding traffic (something I am challenged with daily), choose energy efficient appliances, turn off lights when they are not being used, eat local food, cut beef and dairy, and reuse and recycle goods. All of these are quite simple and will put a damper in the amount of carbon being emitted. According to statistics from the EPA, 42 % of the 29 % of U.S. greenhouse gas emissions are associated with the energy that is used to produce, transport, process, and dispose of the food we eat and goods we use. The astonishing amount of people that are faced with asthma today is and should be a “wake-up call”. The numbers have increased, and we are doing it to ourselves. We should think more in terms of our kids and elderly adults who do not have the strong immune systems that we have and the capability to fight off some illnesses quite as easily. If something as simple as driving slower, carpooling, cutting out beef and dairy (IT MAKES US FAT ANYWAY! ), turning off lights, or recycling goods could help the health of our loved ones, why not combat the issue by making these small steps? I am sure that the traffic I drive in on a daily basis contributes a great deal to the carbon emission, which, in turn contributes to the large amount of people suffering from asthma. Statistics from the EPA projects that 1,700 heart attacks, 90,000 asthma attacks, 3,600 premature deaths, and 300,000 missed work and school days would be avoided each year just by lowering one third of the carbon emitted daily. I say we need more work from home days and days off! This article addresses how pollutants are affecting global climate change and how the clean power plan and standard of ozone concentration are measures that should be implemented to reduce the effects of climate change. I feel this article is very important because I do not think that the public understands the magnitude of impact associated with climate change, mainly because a lack of education which leads to lack of urgency and demand for change. Unfortunately, I do not think climate change will be properly addressed until something drastic or catastrophic happens, in which then, the demand for climate change will be the primary focus of the world. The Clean air act is a step in the right direction, however, I feel like we can do much more in 2015. EPA estimates that the new national standards will significantly decrease carbon pollution produced by the electric sector by 2030. However, once carbon dioxide is released in the earth’s atmosphere it is present for hundreds of years. Therefore, I feel climate change should be the primary focus of government and that there should be increase spending the production of alternative energy sources, so that we could drastically reduce the production of carbon dioxide. Alternative energy could derive from solar, wind, and other nonrenewable resources. 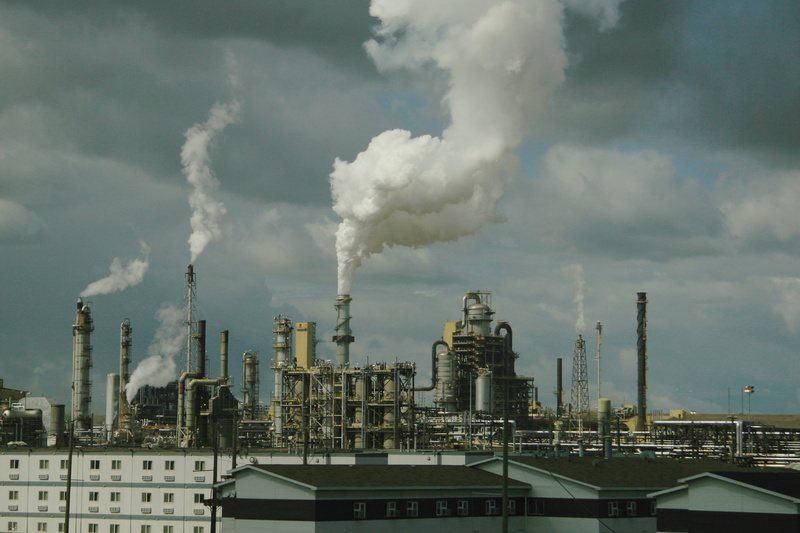 This article also addresses ozone production into the atmosphere termed as “bad ozone” by industrial facilities, electric utilities, motor vehicle exhaust, gasoline vapors, and chemical solvents. It appears that children and the elderly are more susceptible to lung disease with the production of ozone. The current standard of 70 ppb of ozone concentration is not as effective as we thought. Therefore, we should change the standard to 60 ppb as other countries already have done. If not, individuals will continue to experience changes with the compliance and restrictive functions of the lung and will not be able to properly conduct air through the lung, nor diffuse oxygen and carbon dioxide properly at the alveoli. This can lead to other health problems such as stroke, heart disease, and lung cancer and decrease the life expectancy of the following generations. One of the striking aspects of this article was the reaction of the American people to the president’s proposals to try and curb carbon emissions. The article quotes Christopher Borick as stating “Even when Americans accept the reality of climate change, they continue to generally give it low saliency in terms of issues on the agenda.” The truth is that most people don’t care about a specific issue until it effects them directly; that is, until it is to late to do something about it, and global warming becomes such a major threat, that all of the sudden most people would then care to do something about it. The problem is that, most Americans, and most citizens of industrialized and developed nations, are potentially decades away from feeling the more severe effects of global warming. Being that developed nations, and industrializing nations are the major culprit of climate change and global warming dating back to the Industrial Revolution, without a broad scale collaborate effort by the worlds largest economies, including the US, China, India, Brazil, the EU and others, it is unlikely that global warming and climate change will be contained or curbed in any meaningful way. While there are multiple consequences that are associated with global warming including extreme weather, rising sea levels, and wildlife degradation, the multiple impacts on human health should be the most alarming, and thus the most convincing argument in attempting to assign greater significance of this issue in the eyes of policy makers and citizens in the worlds largest economies. For example, since 2003, tens of thousands of Americans and Europeans alike have died from heat waves associated with climate change and global warming . Yet since that period, perhaps several dozen Americans and Europeans combined (100 at most) have died from foreign terrorist attacks. When you put into consideration the sheer amount of time, money, focus, and resource’s our media and governments place into observing and fighting foreign terrorists, the lack of attention and significance that the most developed nations, and its citizens assign to climate change and global warming becomes unjustifiable and simply put, illogical. Global warming can also increase pollution and have a synergistic effect on the growth of weeds including ragweed, which can initiate and exacerbate allergies and asthma alike . While there are multiple mechanisms associated with this, it is thought that one of the major pathways that climate change takes in intensifying allergies, is the interaction of diesel exhaust with pollen, which can help insert the allergen deeper into the lung . Nearly 100 million Americans are affected by allergies in the United States making it a critical public health concern . Climate change can also interrupt the ecosystem, thereby increasing the spread of infectious diseases . While some people might be conscious of the fact that people living in poverty stricken nations are the primary individuals most affected by this problem, it is not restricted only to less developed nation’s. In 1993, there was an outbreak of a diarrheal illness in Milwaukee that affected more then 400,000 people . This incident was caused by a parasitic infection of the cities water supplies after heavy rainfall, which was linked to climate change . With an increased awareness of the public health consequences which can come about from climate change, I think it is safe to assume that most people in both developed, and undeveloped nations would view the global warming debacle with a greater since of urgency. NRDC, Natural Resources Defense Council. Issue Areas: Global Warming. “The Consequences of Global Warming”. 10 December 2005. Web 16 October 2015. .